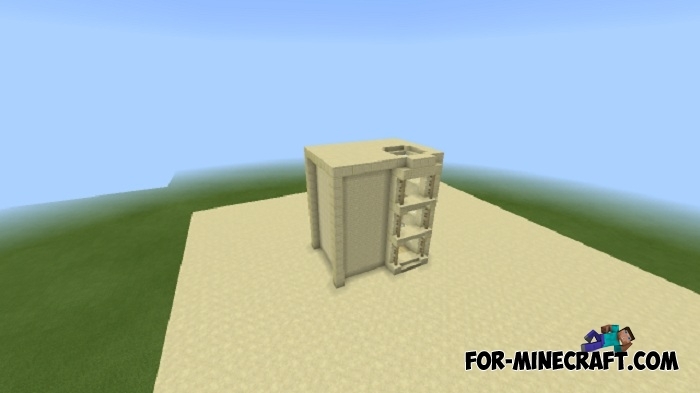 You could already see the elevator (link) which consists of many command blocks. That elevator was perfect for huge mansions or mines, where there is enough space to arrange all the elements of the structure. But what if you have a small multi-storey house and you need an elevator? Look at the simplified version of the elevator designed to move up and down. The elevator is built in the form of a rectangle of sandstone, divided into floors. You can safely rebuild the elevator but only with the condition that the command blocks remain in their places with the entered commands. 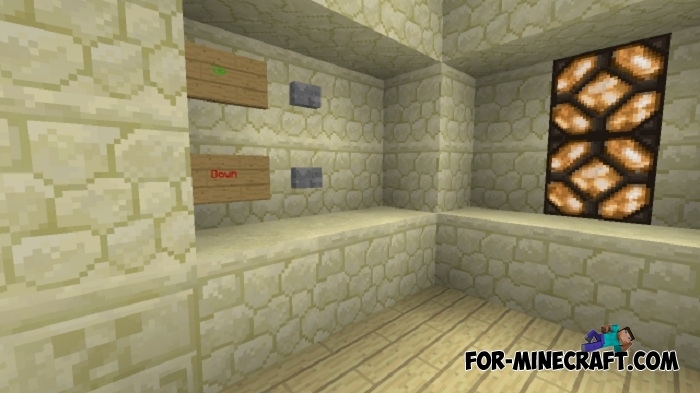 There is an opportunity to build any number of floors, because the elevator can takes players to any height set by the operator of the command blocks. 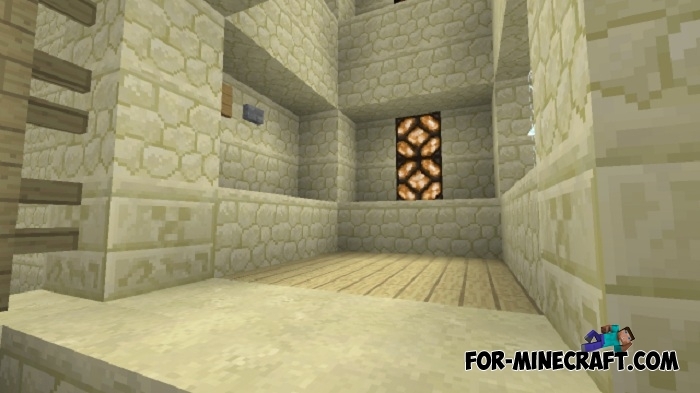 Structure Block mod for Minecraft PE 1.0.0 / 0.17.0If you really like to build large structures then Structure Block Mod will be your good helper..